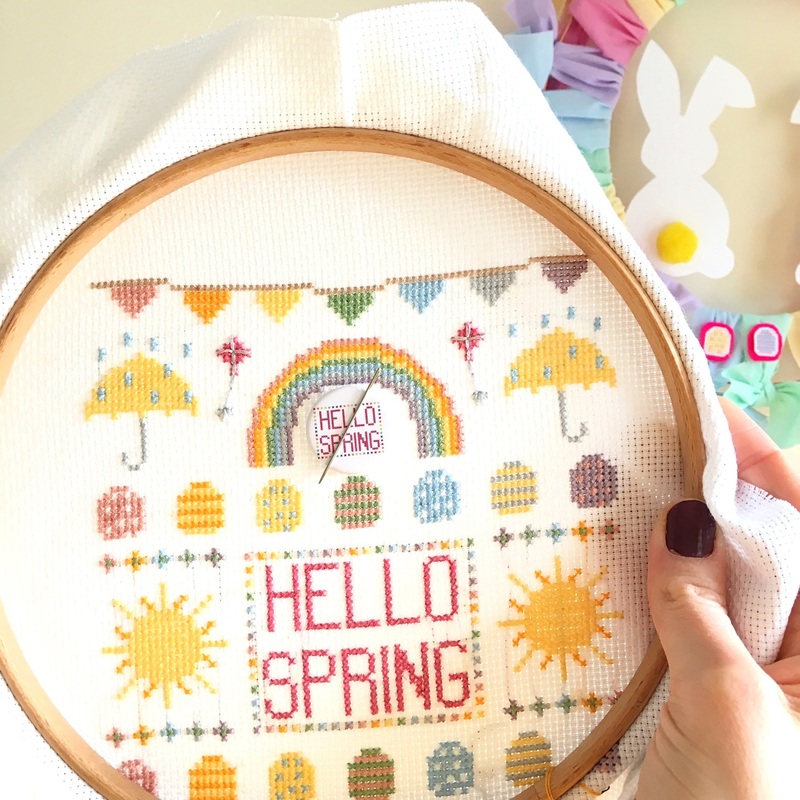 Hop into Spring with my Hello Spring Cross Stitch Kit; the perfect stitch to bring some Spring fever to your days. This cross stitch kit comes in 2 palettes; bright rainbow and pastel rainbow. 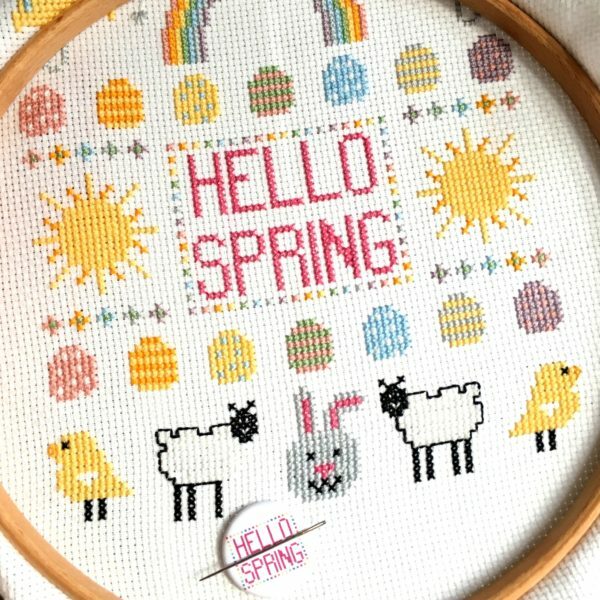 This design was originally from my 2019 Spring Stitch-A-Long but now it’s a full kit you can stitch at your own pace. 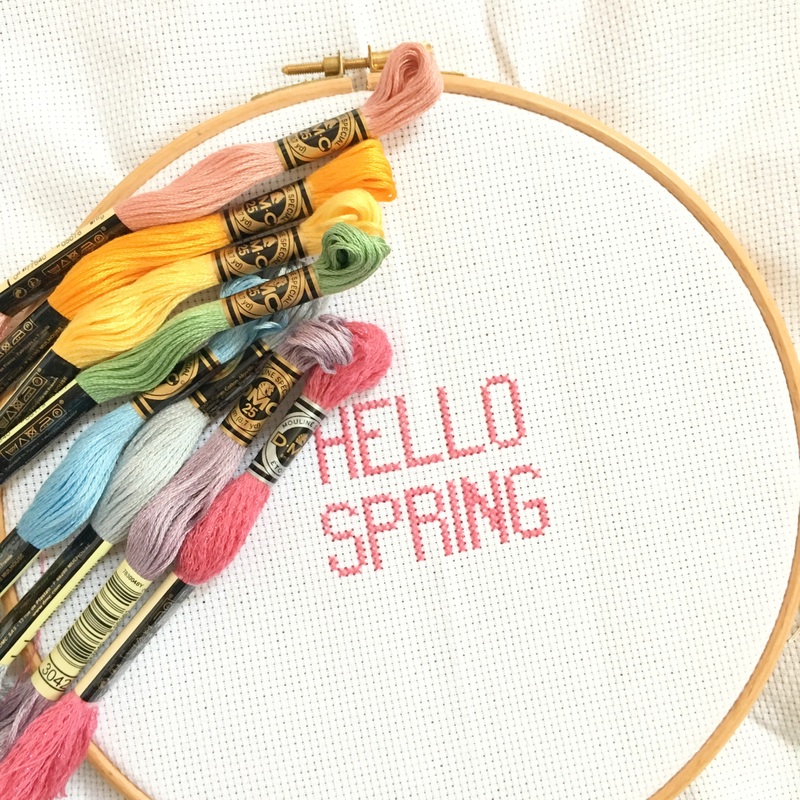 If you would like a little more detail on how Stitch-A-Longs will work head over to this blog post. And scroll down for a little video of what’s included! 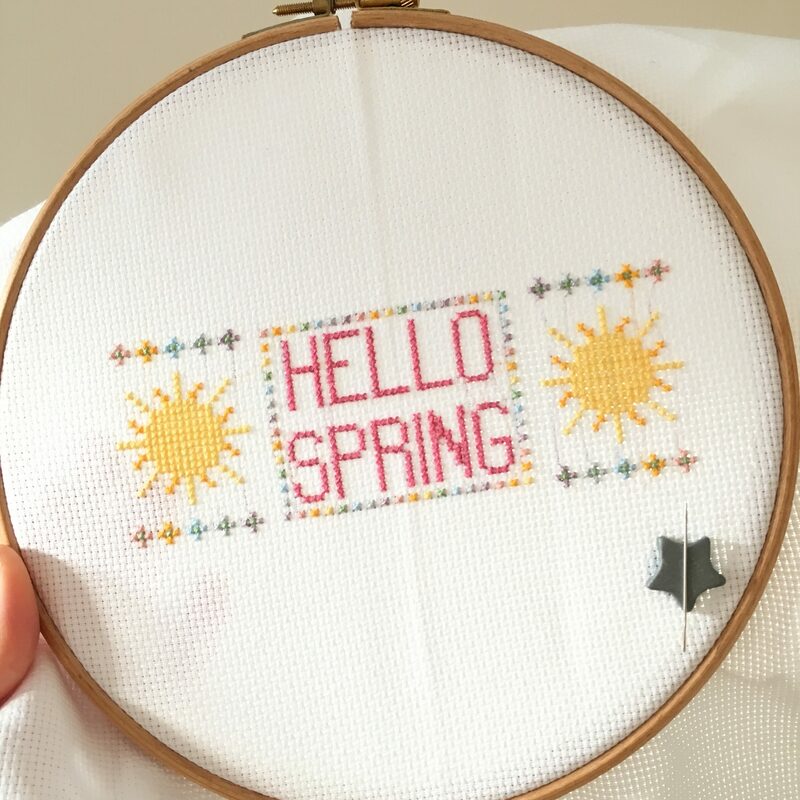 This design is not really for framing in a hoop like my others; it is a sampler. 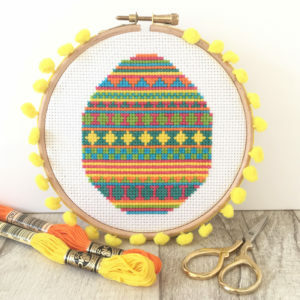 But, if you need a hoop to help you stitch, you can choose to add a 7-inch Elbesee one on. 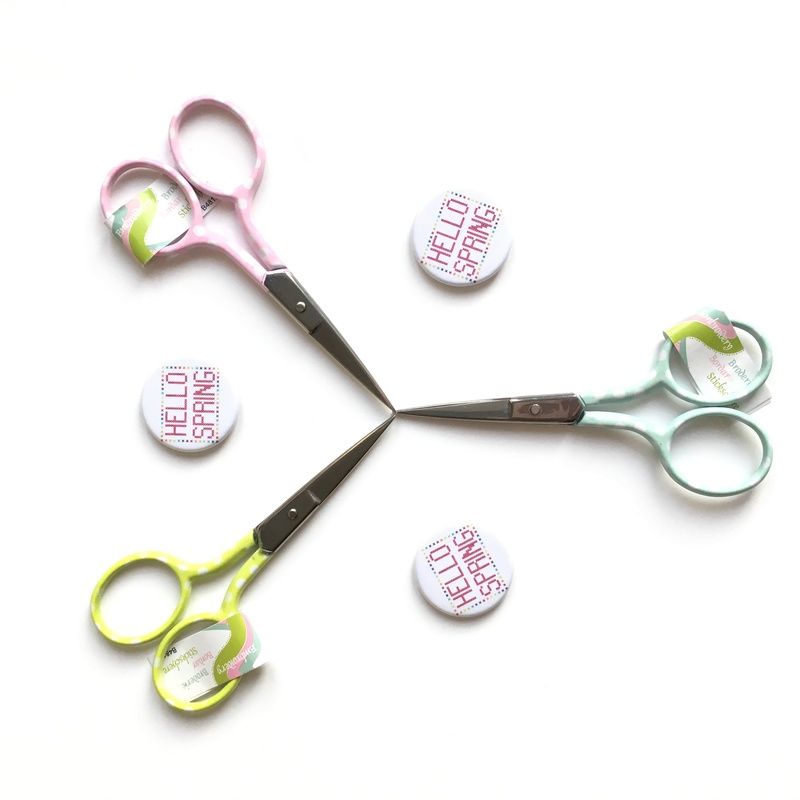 A pair of polka dot embroidery scissors (they are a mix of pink, green and mint green colours. Just pop a note with your colour preference and I will try and match it for you). 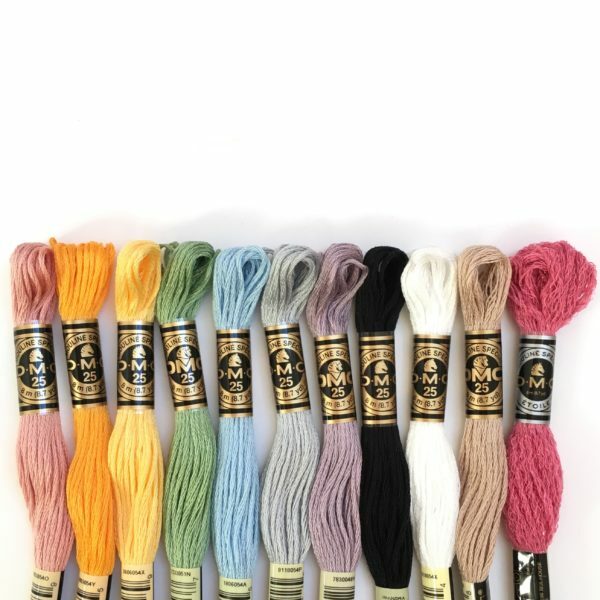 You can buy some of these supplies separately if you don’t want them all. Just head over to our supplies section and they will be added to your kit. You can also choose to bundle the 2 palettes together and save £5! 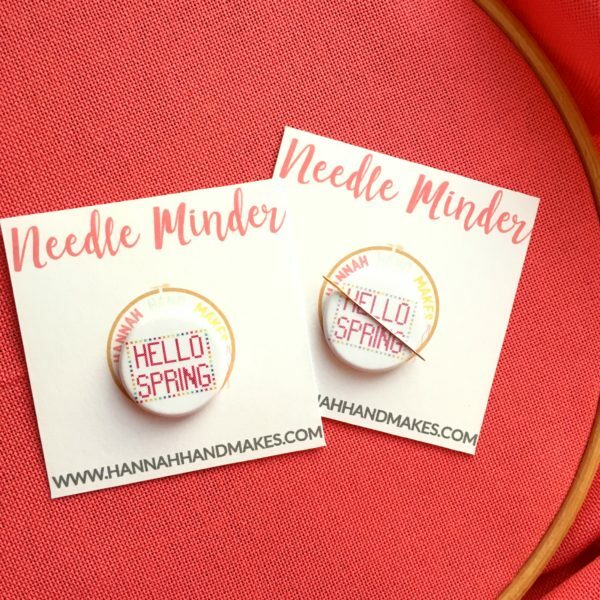 This comes with 2 standard kits, or you can choose to have 2 standard kits plus extras (1 hoop, 1 pair of scissors, 1 pencil, 2 bags, 2 minders). 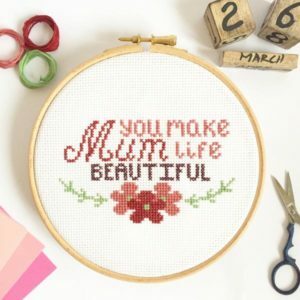 Is this Cross Stitch Kit for a beginner? This kit has a bit of backstitching in and some half stitches, but it’s quite a simple pattern to follow. 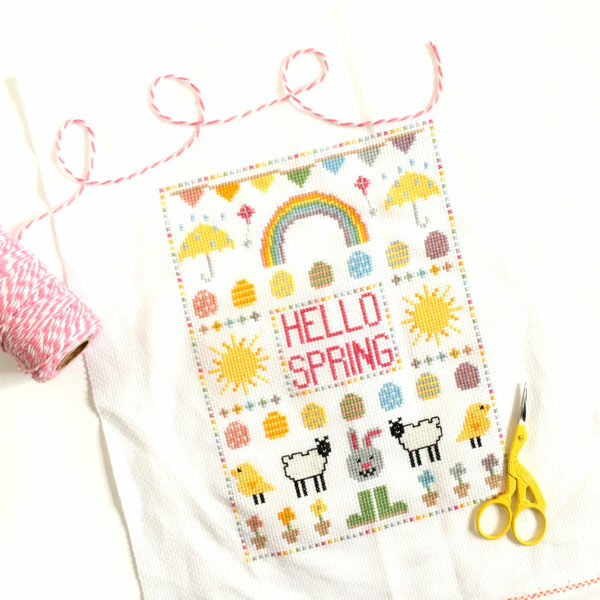 I also have extra tutorials on my YouTube channel for this design. 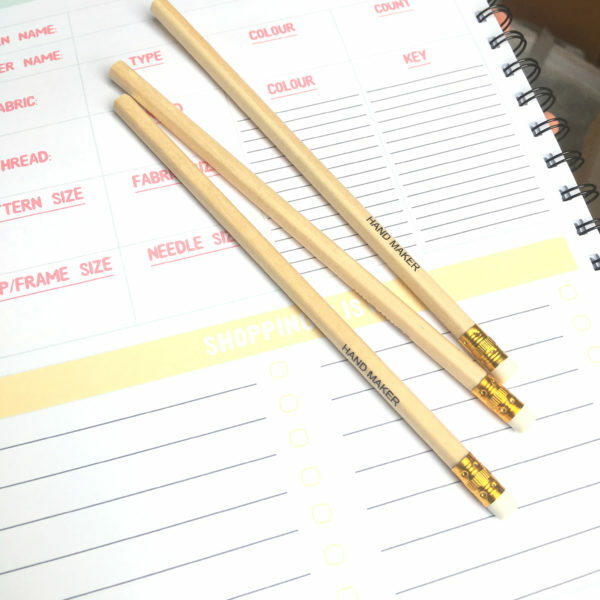 Orders are usually shipped within 2-5 working days and you can select your preferred shipping method at the checkout. And I ship worldwide! 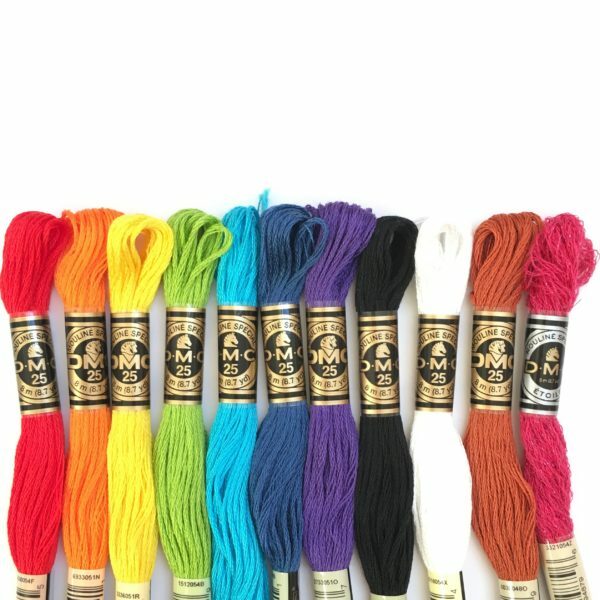 Standard kit or with extras?